Federal Reserve Chair Jerome Powell has repeatedly called out the ballooning U.S. national debt. He did so again while testifying to Congress on Tuesday. "The U.S. federal government is on an unsustainable fiscal path,” Powell told the Senate Banking Committee, noting that “debt as a percentage of GDP is growing, and now growing sharply... And that is unsustainable by definition. A former U.S. budget official also recently warned that America’s $22 trillion deficit that’s being ignored by lawmakers could come back to bite in a big way. Minarik, who is now the senior vice president and director of research at the Committee for Economic Development, believed that soon politicians would soon shift their focus to the election cycle — which effectively means that plans to tackle the budget are likely to be shelved. 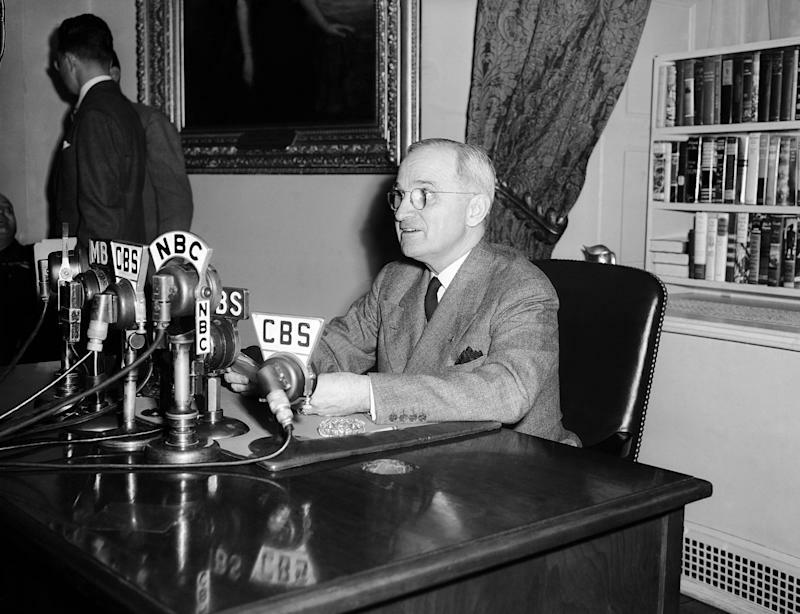 The highest level of public debt ever was in 1946, when former president Harry Truman took office after World War Two. 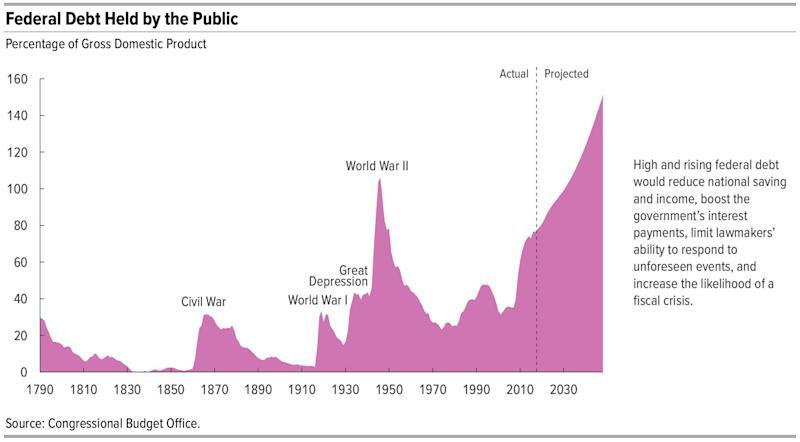 The public debt as a percentage of GDP was 106%. The country had just emerged victorious from a war and debt was falling, the labor market was revitalized by millions of men returning from the war, and Truman lessened the debt load by massively scaling back spending (even though it was politically unpopular). Trump entered office with the second-highest level of debt-to-GDP ratio at 77%. The administrations policies are clearly adding to the deficit. Under the Trump administration and beyond, if the U.S. continues at the current pace with current laws, we will see unprecedented levels of debt a report by the Congressional Budget Office found. “Debt would rise to 96 percent of GDP by 2028, and six years later, in 2034, it would surpass the peak of 106 percent recorded in 1946,” the report noted. And “by 2048, federal debt would reach 152 percent of GDP,” and be on track to become even bigger. The CBO also warned that if lawmakers pass any legislation to prevent a “significant increase in individual income taxes in 2026,” the result would be even bigger increases in debt. The bottom line is that America’s national debt is ballooning and no one’s doing anything about it, according to Minarik. “It's really unfortunate that we've gotten to the point where election season seems to be about three years and 11 months long,” said Minarik. “We're going towards October 1, which will be the beginning of fiscal year 2020, and will take us just about right up to election day. Follow Yahoo Finance on Twitter, Facebook, Instagram, Flipboard, LinkedIn, YouTube, andreddit.